Mobile Websites for Veterinarians. Mobile Sites for Veterinary Hospitals. Mobile Version Vet Website. Summer is here and most of the nation is experiencing record temperatures and drought conditions. Here in northern New England we have had a heat wave and our air conditioners have been on high every day since early June. The hot summer is slowing some of us down; however, it is not slowing down consumer spending. Spending is up and this has a lot to do with the increase in smart phone sales. In this issue, we discuss the Importance Of Having A Mobile Website, Developing A Website To Bring You New Business, and Why It Is Important To Have A Great Business Card. There are currently more than 3.6 million mobile phones in the US and more than half are smart phones. A recent Google study found that 26% of U.S. smartphone owners would rather give up their computer than their smartphone -- a sign that you need a mobile website to stay current. Smartphone owners are accessing websites more than ever from their mobile devices. Studies show that mobile browsing has increased by more than 1000% in the past two years. If your practice doesn’t have a website that is specifically designed and developed for a mobile phone, you are probably losing business. Is your website working for you? Are you getting new clients from it? Do local pet owners even know it’s out there? Read our article on Developing A Website That Sells Your Practice to make sure you are doing it right. And don’t forget about your business card. Your hospital’s business card speaks volumes about you and your practice. With minimal costs and high benefits, this simple tool plays a key role in forming a potential client’s first impression of your hospital. Think about these suggestions and thank you for subscribing to our newsletter. Enjoy the rest of the summer. With the majority of US cell-phone users now owning smart phones, most pet owners will soon be “Googling” for a veterinary hospital while on-the-go. If your hospital’s website is not optimized for a mobile device, you may lose out on business. VetNetwork is now developing mobile websites to help veterinary hospitals stay in touch with their clients 24 hours a day. Studies show that mobile browsing has increased by more than 1000% in the past two years. Researchers predict that by 2014 more people will be accessing the internet from their phone than from a home or office computer. There’s no reason why your veterinary hospital should be missing out on this expanding and crucial market. Websites optimized for mobile viewing can generate nearly twice as much traffic as websites not optimized for a handheld. Today’s (and tomorrow’s) potential customers won’t struggle through a website that doesn’t properly load or fit their mobile screen. Mobile viewers are looking for a website that loads quickly and displays the most relevant information in an easy-to-read design. Efficiently Loading Homepage: Your veterinary hospital’s primary homepage will be streamlined to fit the size and requirements of a mobile screen. Images that aren’t supported by mobile devices will be removed (for instance, Flash), but the standout branding of your hospital will remain. Easily accessible Location and Contact information: Customers will be looking for the location of your hospital and how to reach you. This information will be prominently displayed with an interactive Google map. A photo of your hospital is included with your location information. 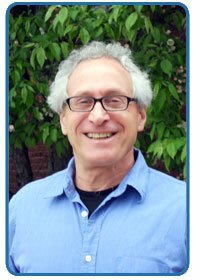 Compact and personalized Veterinarians page: . Properly sized photos of the veterinarians at your hospital will appear on the website with brief profiles. The information will appear in an easy-to-read bullet point style that delivers essential information while still allowing your hospital’s personality to come through. Services Page: The optimized services page will display a bullet point list with the information most relevant for pet owners. Emergency services page: We will include a page providing information about your hospital’s emergency care procedures. We will also include listings for the closest emergency hospitals. It’s time to optimize your veterinary hospital’s website for mobile browsing. Marketing your practice through mobile devices can boost your credibility, help generate traffic and increase business. With more people using mobile phones for their internet connection, this is a market you and your hospital simply can’t afford to ignore. 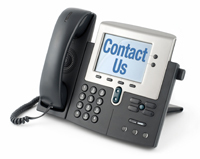 Call VetNetwork today so we can set up your new mobile veterinary hospital website. By now, you know that a website is necessary for the success of your veterinary practice. Research shows that the Internet is where most pet owners will find their next (or first) veterinarian. If your website can’t be found, or if it is too difficult to navigate, pet owners will go somewhere else. The development team: Superior website design and development both require a team approach. A creative designer will be able to handle the aesthetic aspects, but that person probably does not have the coding expertise needed to develop the site. Someone familiar with creating SEO-friendly content will also be needed to ensure that your site can be found on Google. Make sure your website is developed by a full-service marketing company with an experienced project manager who understands the entire process. You may know a junior web designer who can do the job for next to nothing, but you will end up paying more in lost opportunities in the long run. •	Confusing “mystery” navigation: The path leading through your website should be easy to follow. Visitors navigating through the pages should be able to quickly find what they want. Relevant content should be obvious and almost never more than 2 clicks away. •	Slow-loading graphics: Be sure graphics are optimized for the web, and load quickly into the browser window. No one will sit and wait while a picture or video loads. •	A design that doesn’t center in the browser window or doesn’t work in all browsers: A good web developer will avoid these design mistakes. Using a free or cheap hosting plan: There are many demands on your marketing budget, so you may think that using free or cheap website hosting is a good idea. No. There are many reasons why this is a bad idea. The most compelling is that free and cheap hosting companies do not guarantee your site’s longevity. Without notice your website can disappear. Free and cheap hosting companies come and go, and many run out of money and shut down. If this happens, it is nearly impossible to recover your website. Free and cheap hosting companies often include banner and popup ads that appear with your website. You have no control over these ads. Some free and cheap hosting companies also require that you use their templates, further restricting your design options. In general, you will find that these companies have little technical support, slow response time, and may even have viruses on their servers. Having original content with all of the right keywords is vital in keeping your website visible in search engine results. Do not copy content from another website. This is illegal copyright infringement, and penalties can be severe. Your content should be updated regularly with news items, event announcements and even a blog to keep it fresh and interesting. Above all, be sure you have the site proofread. Multiple errors will make your practice appear unprofessional and untrustworthy. You probably don’t have the time to do this. Let a professional keep your site updated. Search Engine Optimization (SEO): A beautifully designed and eloquently written website is of no value at all if it can’t be found on Google. Optimizing your website so Google can find it is absolutely necessary if you want to rise to the top. Even in your own town, your competition will beat you to the top every time if your website isn’t optimized. Decades ago, it would have been unthinkable to open a practice or launch a business and neglect to take out an ad in the Yellow Pages. In this digital age, your veterinary hospital website is as important to the success of your practice as was the Yellow Page ad of old. It deserves the attention of experienced designers, coders, writers and SEO experts who know how to put your veterinary practice online in a beautiful, functional way. Your veterinary hospital’s business card can speak volumes about you and your veterinary practice. With minimal costs and high benefits, this simple tool can perform an important PR function that will pique the interest of future clients. Even in the digital age, a well-designed veterinary business card remains an incredibly important component of any hospital’s branding and marketing toolkit. Pet owners have many choices when it comes to choosing a veterinary hospital. Therefore, you need to always go that extra mile to convince them that your hospital is superior to all the others. According to John Williams of “Entrepreneur” magazine, business cards play a key role in forming a potential client’s first impression. A business card reveals not only how much pride you take in your profession and your work, but may also communicate the benefits of your hospital – all in a matter of seconds. This first impression then turns into lasting impression each time a client or pet owner sees your card. It’s important to understand what your business card is capable of saying about you and your practice, and how you can best display this in a three-inch paper platform. Knowing precisely what to communicate, and the methods of best displaying it, however, is no easy task. These elements must all fit together to create a lasting image of your hospital and the care and benefits you provide to pets and pet-owners alike. 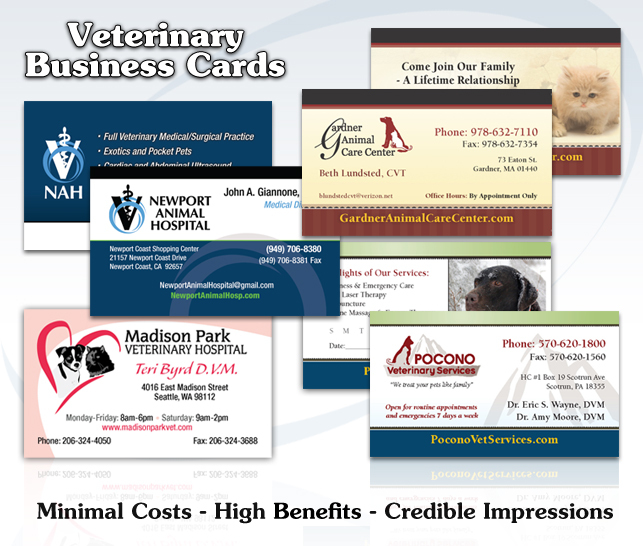 The veterinary marketing and design team at VetNetwork can help you create an effective business card that meets your budget and your needs. Remember, when executed correctly, a business card can serve as a powerful branding and advertising weapon. Leave it to the creative professionals at VetNetwork to ensure that your marketing needs get the care and attention they deserve. VetNetwork is a veterinary marketing and design company exclusively for the veterinary industry. Our services and products are guaranteed to increase your profits and attract new clients.